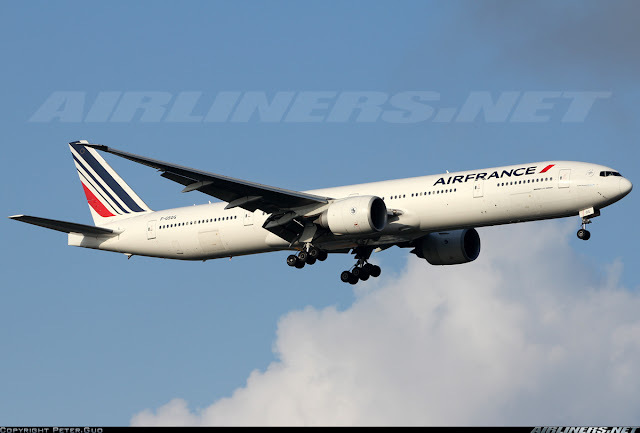 Welcome to my Flight Review For 2015! 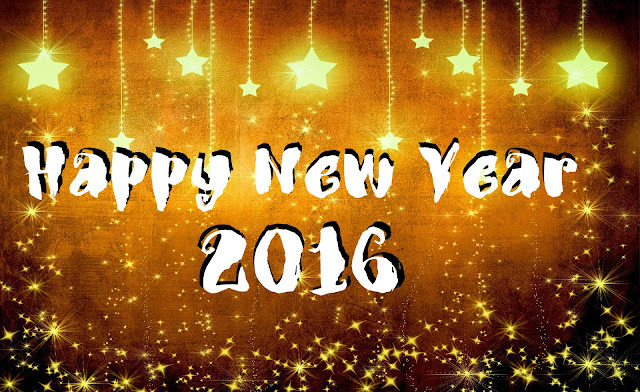 I like to wish all readers a great year ahead! This year passed very quickly and I am quite pleased with my number of flights I took this year. It may be lesser than last year but still I got to meet new people and gained new experience along the way. My flights may not be as many or glamorous as some of the other travellers, but I am satisfied. One can never be too greedy. As usual, my reviews are based on my flying experience with these airlines and I don't work for any of them. This review will be similar to my previous year review, just a slight update to enhance it. I will give a short review on each airline I flew on, including the aircraft types and a grade for each one of them. After the review section, I will announce the results of Charles Ryan's Flying Award to the airlines flown under the following categories such as 'Best In-flight Experience', 'Best livery' and ...etc. Only Asian countries this year, I have to change that for year 2016. Currently have plans to go to Europe and Australia depending on how things work out. 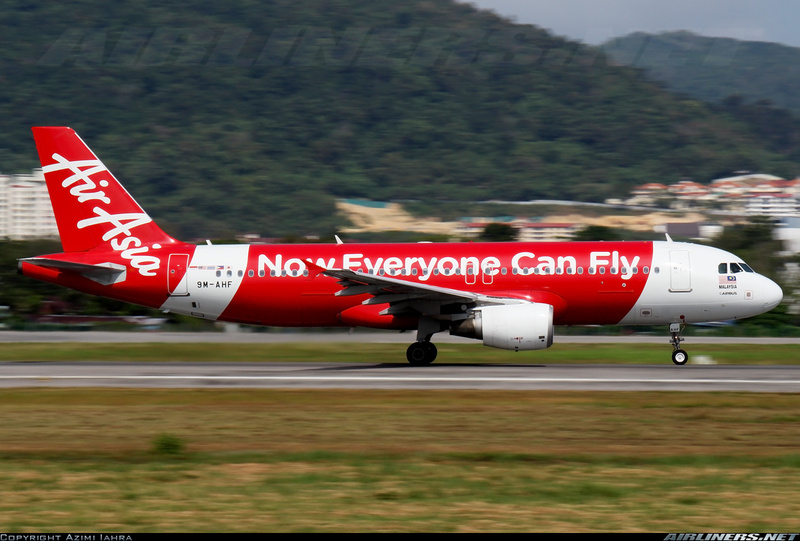 My thoughts: 2nd time flying on 9M-AHF - I was naturally disappointed since Air Asia operates many A320s, well that's life! Cabin seats are the standard - tight legroom space. Service was mediocre but at least I got to my destination pretty much on time. Didn't order meal since this was a short flight and I wasn't hungry. Overall rating: C- That's the best I can give. Staff couldn't be bothered and were grumpy, that minus a lot of points for me. My thoughts: I was originally booked on Economy Class and only decided to upgrade my class to Premium Economy when I received an email offer of $72 for the short flight. At first I was hesitant but because I dread the feeling of flying in the 3-4-3 configuration in Y class, I thought I might as well do it since I don't know when would be my next time flying with this airline. While I enjoyed the Premium Economy product, the in-flight service on the other hand was a big disappointment. The crew were arrogant and a few of them were lacking of professionalism I feel. The in-flight snack box was the same as Economy Class. Overall rating: B- The in-flight service was a disappointment and is the main reason for the rating. 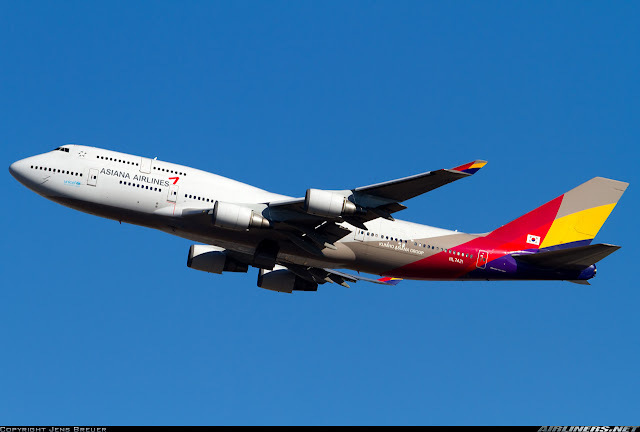 My thoughts: Very happy to have flown on this airline's Boeing 747 Combi. 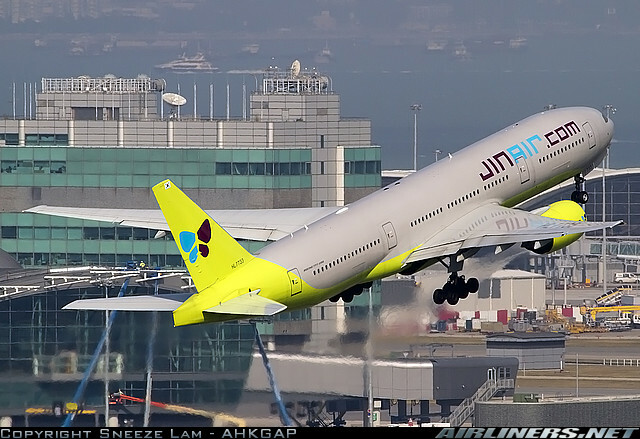 As you know, this airline along with a few others are well known for making last minute equiptment changes, so when I saw this aircraft coming from Incheon, I was delighted. In-flight service was excellent. In-flight meal and IFE system were pretty decent too. My thoughts: Very lucky to have a pretty empty upper deck Economy Class cabin and that made my experience even more enjoyable. Cabin service wasn't as good as the 747 Combi, but overall it was a great experience flying on the 'Whalejet' once again. In-flight entertainment system and meal were decent. 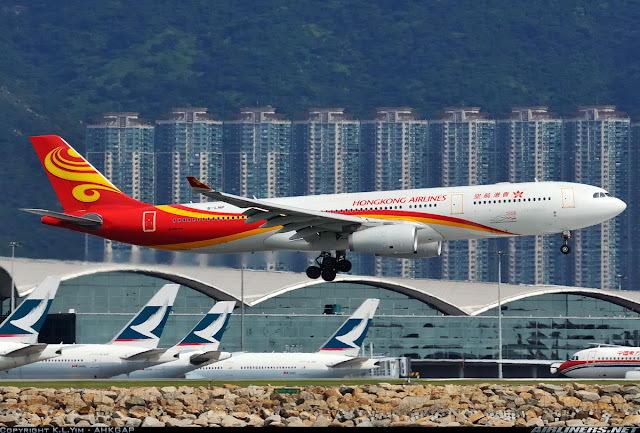 Overall rating: A - Apart from the website, the airline's service indeed deserves the 5 star rating from Skytrax and other numerous airline rating websites. I find the IFE system on the Boeing 747-400 Combi to be quite decent and Airbus A380's is obviously better - certainly good enough to keep you entertain for long haul flights. The meals on both flights are not the best though. 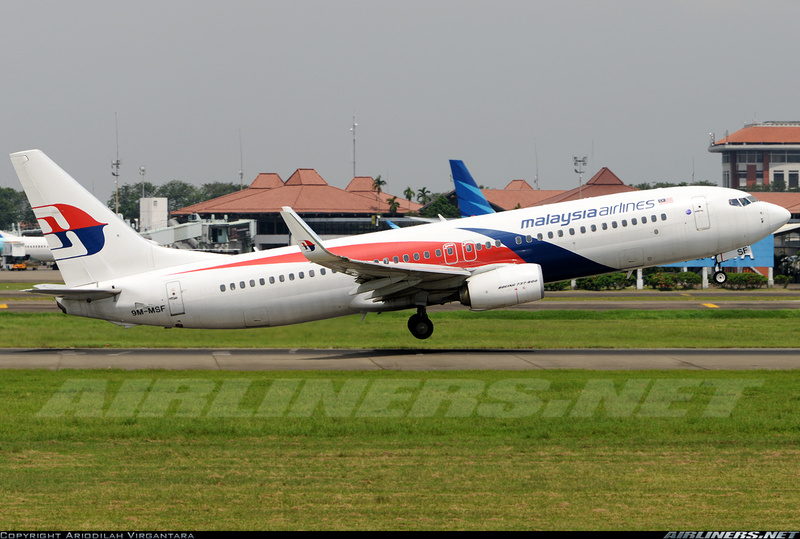 My thoughts: Identical cabin as Malindo and I find this to be one of the best. Decent legroom space - 32' inch, with comfortable legroom space and good IFE system even though it has limited contents inside. For the price, Its a bargain if you ask me. In-flight service was great and complimentary snack and drink were given. 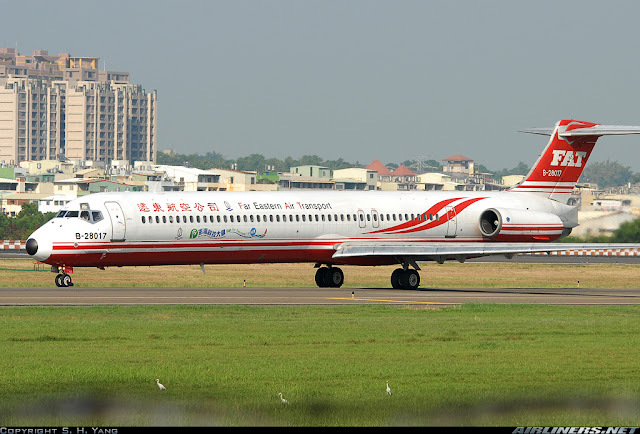 A decent boutique airline set up by the Lion Airlines Group. My thoughts: A true business class product unlike some airlines that use Economy Class seats and block out the middle. The price I paid for this is certainly a bargain especially and this encourages more passengers to pay a bit more to enjoy without splashing a lot with the 'big boys'. In-flight meal was provided on this short 1 hour flight and it was not bad! Headset was provided and the IFE system is the foldable type only used during in-flight. Excellent service even though the crew could hardly speak any English. Overall rating: A - One of the top airlines in Indonesia and in my first choice when flying on domestic flights. Both Economy Class and Business Class products can be said to be better than some of the premium carrier's products out there. My thoughts: Old cabin interior which needs to be updated. Seat pitch is reasonable in a comfortable 2-4-2 layout. Disappointed not to fly on the Triple 7, but at least I got this off my flight logbook. In-flight service was definitely better than my first experience with this airline and the snack bag was pretty good for this short hop. IFE system is non-AVOD (Audio Video on Demand) but it contains the latest movies, so not too bad for short hops. My thoughts: I find the seats to be slightly more comfortable than the A330 and B747-400. The Boeing 737-800s are equipped with drop-down screens and for my flight, I flew on a 17-years old 737-800, was quite disappointed but at least the aircraft was in good condition and interior was clean. In-flight service was good and the snack box for the return leg was as good if not better than the first leg (A330 flight). My thoughts: This is definitely an upgrade over the older Economy Class cabin. 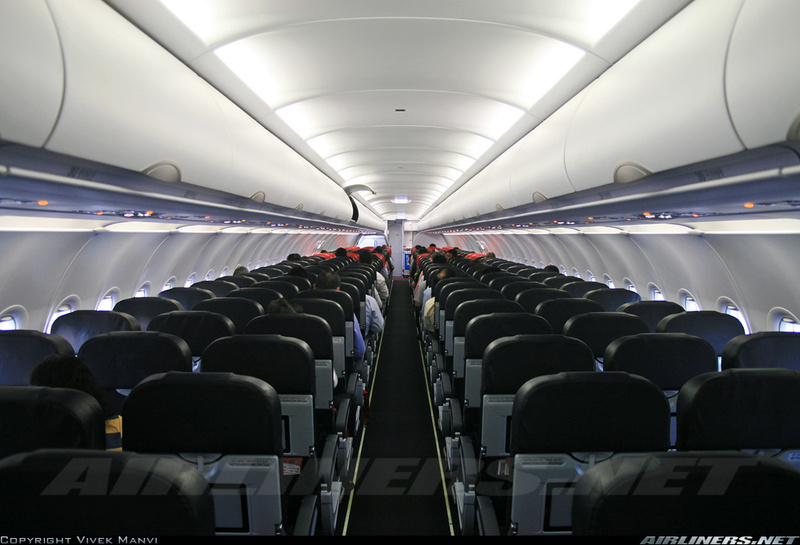 Newer (In-flight Entertainment system) IFE and seats which give the passengers some comfort for the long haul. Although the seat pitch is reduced (33' inch to 32' inch), it is still comfortable especially the airline retains the 3-3-3 seating configuration. I like the seat colour in particular, find it to be quite attractive. 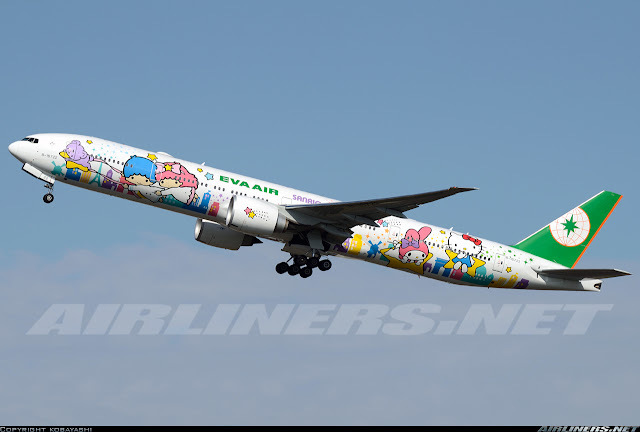 As this is a Hello Kitty flight, you can seat cover, seat pocket items are all based on this Japanese character. In-flight meal was not bad and the cabin service was good. I find this experience better than most of my previous flights with this airline. My thoughts: This is the 2-4-2 seating configuration, an upgrade over the old Elite Class product on the 77N. I got to try both products and I say this has to be better. Although the seats look simple and doesn't give you that luxurious feeling like some other airline's Premium Economy, it is comfortable and more importantly has the legroom space. The service and in-flight meal on this flight was average, not as good as my previous flight. Overall rating: A- Cabin service is still not quite there as you can see the faces of some of the crew looking stress, instead of enjoying their jobs. On the other hand, the in-flight products on this 77A configured Boeing 777-300ER impress me, won't have any problem flying long haul on this product especially the Economy Class. 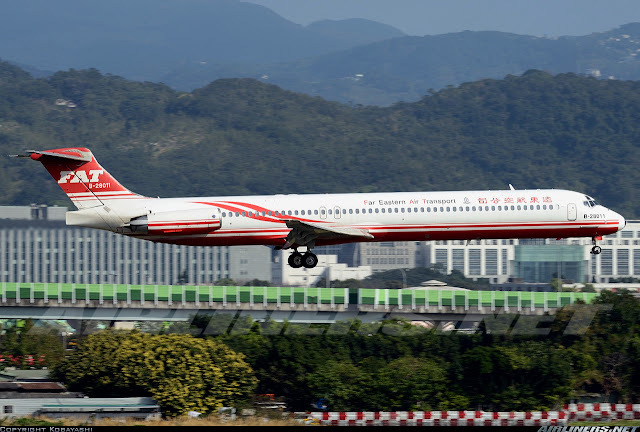 My thoughts: McDonnell Douglas MD-80/90 and Boeing 717 seating configuration are in a 2-3 Economy Class layout, comfortable for the passengers but not so good for the accountants in the companies, that's why most operators have already replaced this aircraft type with either Airbus A320 or Boeing 737. Sitting at the 2-seater is better as there is more legroom space. Cabin service was average but at least a snack was served along with the drink. My thoughts: Similar experience comparing to my previous flight, but at least I got some privacy at my seat 30A. Taking photos of the interior was not a problem but no electronic devices can be used during take off and landing as someone told me that they prefer to keep the old rule as the aircraft type was old. Overall rating: B+ Not many folks appreciate this aircraft especially sitting at the rear. For me, I give most of the points to my experience on board. Good thing was the enjoyable ride on all 4 sectors and snack was offered on the flights, but the cabin service is the weakest among my Taiwanese flights so far. My thoughts: I don't like this staggered style business class cabin to be honest, finding it to be quite cramp. I chose the aisle access and its pretty much lack of privacy, so choose the windows seats if you have an option. Unfortunately, one of my flights' IFE system was down but one of the crew was apologetic about it and kept coming around my side to check whether I was ok, that's good service. Overall, the in-flight meals were average but the cabin service was good on both flights. 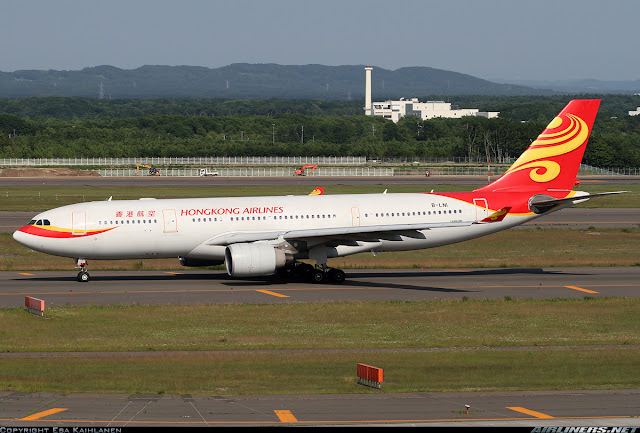 My thoughts: One of my flights was suppose to be operated by an Airbus A330-200 equipped with the new cabin, but it was changed to this old cabin which is configured with more seats. I prefer this cabin configuration as there is more space and privacy. This product may be dated, but it works for me for my short flights. Cabin service on both flights were good and in-flight meal decent. My overall rating: B+ Nothing spectacular about both old and new Business Class products, but still lose out to the top airlines. However for the price I paid, I have no complaint! Cabin service on all 4 flights was good, and in-flight meals to be honest were underwhelming for Business Class standard, but overall I had a enjoy my flights with this airline. My thoughts: Another excellent flight experience with this airline. Even though it was just a short 50 minutes flight, the cabin crew were friendly and professional through out and the Captain gave regular updates on our flight progress. A complimentary drink was served and now electronic devices in in-flight mode is allowed to be used on Korean airlines. For the fare I paid, it is definitely value for money. 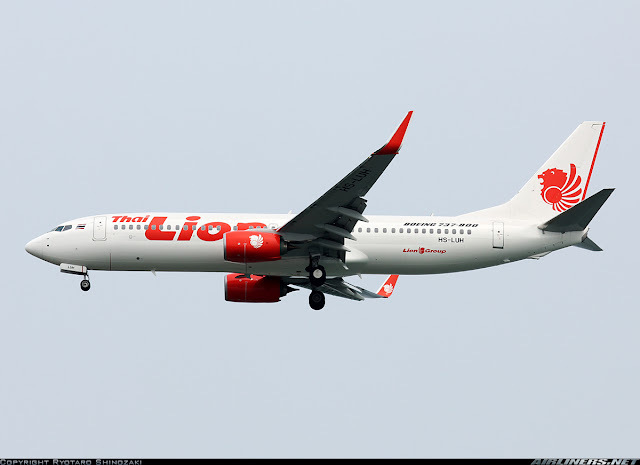 Overall rating: A This airline is reliable, has a good safety record and is expanding well. 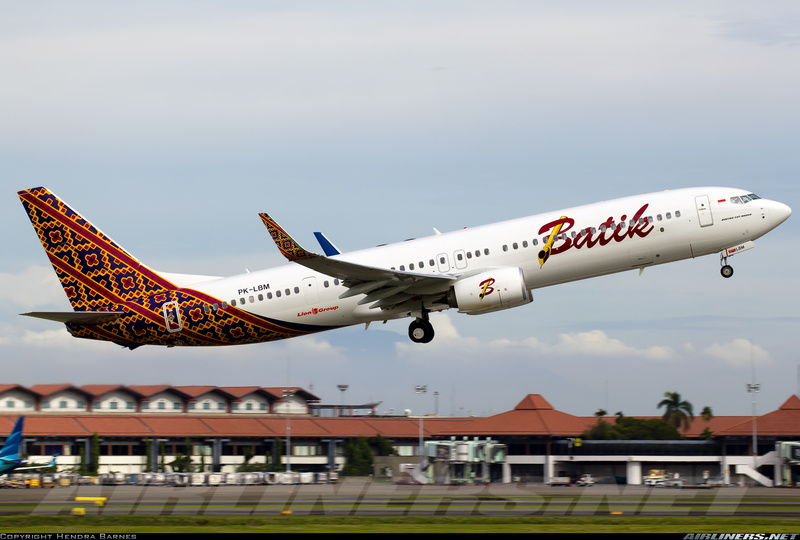 I flew this airline on both domestic and international routes and I am impressed with both on ground and in-flight service, definitely in my recommendation list. Thoughts: Korean Air transferred some Boeing 737-800s to this airline and the cabin interior is retained, only thing difference is the seat head cover. Seat pitch is pretty tight especially at the last row. In-flight service was great and a complimentary drink was served. I still don't get why the airline doesn't offer domestic flights for English version of the website. If you want to book on the airline's domestic flight, you can try booking via a travel agency in Korea or purchase the ticket at the ticketing office at Gimpo Airport. 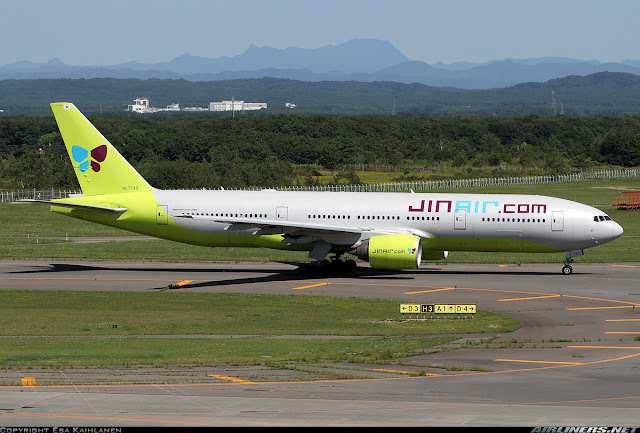 Thoughts: Jin Air has an interesting layout of both 2-5-2 and 3-4-3 Economy Class cabin (First 2 sections: 2-5-2 and last section: 3-4-3). This is the only airline with such configuration on a Boeing 777. The seats are from Korean Air's and I sat at the 3-seater (3-4-3). I chose the 3-4-3 to see for myself how cramp it was. Legroom space is not too bad but if you are flying alone, go for the 2-seater of the 2-5-2 configuration. As for the service, I have to give credit to the crew for handling this flight well. Not a frown on their faces at all even when they encounter some challenges from the passengers. Drink service was served and they basically completed it fast and within the time frame of the short 50 minutes flight. Well done to this set of crew! Overall rating: A+ Excellent service especially on the Boeing 777 flight. The aircraft may be transferred from Korean Air with its interior but comparing to other Low Cost Carriers, the seat comfort is better. The airline also has a map of the aircraft type and will notify you of the windowless seats on the aircraft you are flying on. The on ground and in-flight crew were excellent for both flights and this airline is definitely in my list of recommendation. My thoughts: 3-3-3 old Y class on this aircraft may be slightly more comfortable (less 1 seat a row) than the newly configured 3-4-3 Y class products introduced by KLM some time ago. However, I find this to be quite outdated and a bit cramp due to the seat pitch. I didn't quite enjoy this flight because my leg was aching towards the end of the 2 hours trip but at least the cabin crew were friendly. The snack bag was disappointing, I was hoping for a full meal for this 2 hours flight, I guess that's part of the reason for the cheap airfare. Overall rating: B- Outdated In-flight product, average looking cabin and light snack are not my taste. On the other hand, the in-flight service was good and that is probably one of the few highlights of this flight. 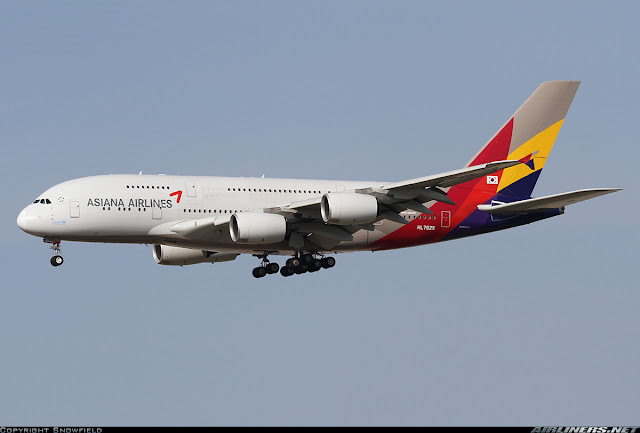 My thoughts: The flight to Busan was pretty bumpy and I feel that the Captain should have made the cabin crew stripped up especially when the aircraft was going through the rough turbulence. Fortunately, the crew managed to be seated. As for me, I had the whole row to myself so no complaints about the seat pitch, and besides the seat itself is comfortable. In-flight service was excellent and like the Korean Low Cost Carriers, only a drink was served, but you could ask for refills. 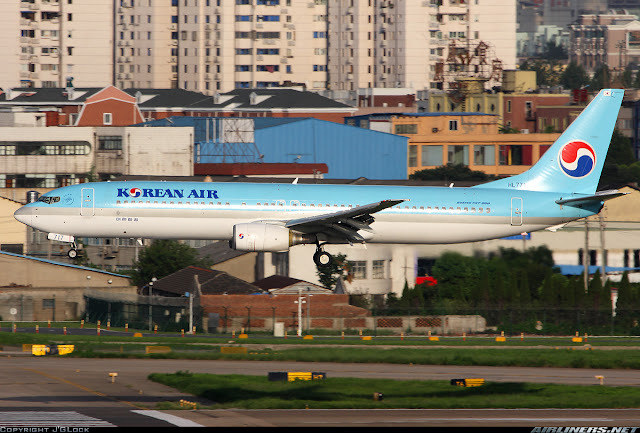 My thoughts: It was a great experience on board this Korean Air's Boeing 777. Fitted with 3-3-3 seating configuration, it was equipped with not the most modern IFE system but its comfortable with ample legroom space, I like it. In-flight service was excellent and I felt the crew dealt well with the full load of passengers on this short flight. Only drink was served. Overall rating: A+ 3 great flights with Korean Air. The crew in particular were helpful and accommodating to my photography session especially after the flight. Not the most modern cabin around but at least for me, I can cope with it if I fly the 777 on long haul routes. My thoughts: I was delighted to have finally gotten the airline's newer Boeing 737-800s. Both flights were less than 30% full and most of us had the whole row to ourselves. How is the airline making money? Only the airline knows. For me, it was definitely a bargain as I enjoyed both the ride and the wonderful Malaysian hospitality. Overall rating: B+ Personally I feel the cabin isn't as good as Malindo, mainly due to the tight seat pitch. 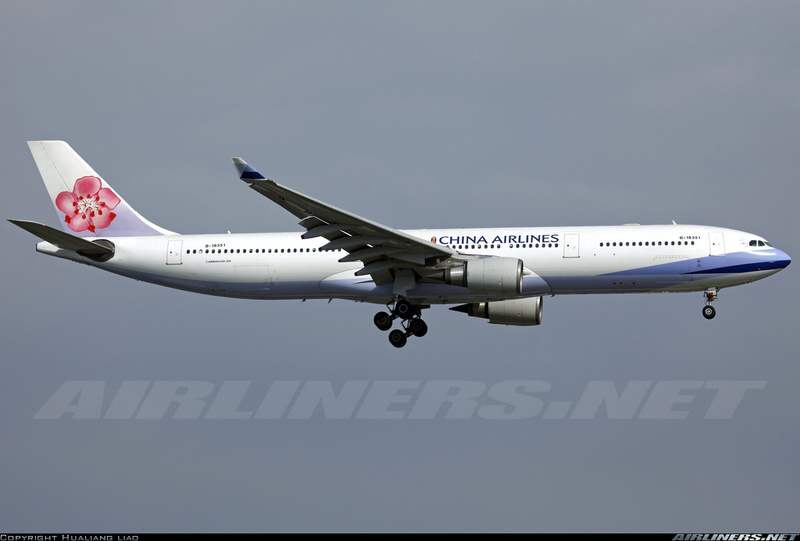 This airline is now operating more of the 3 + hours routes with this aircraft and I will try to avoid if I am flying with this airline. In-flight service on both flights was good. 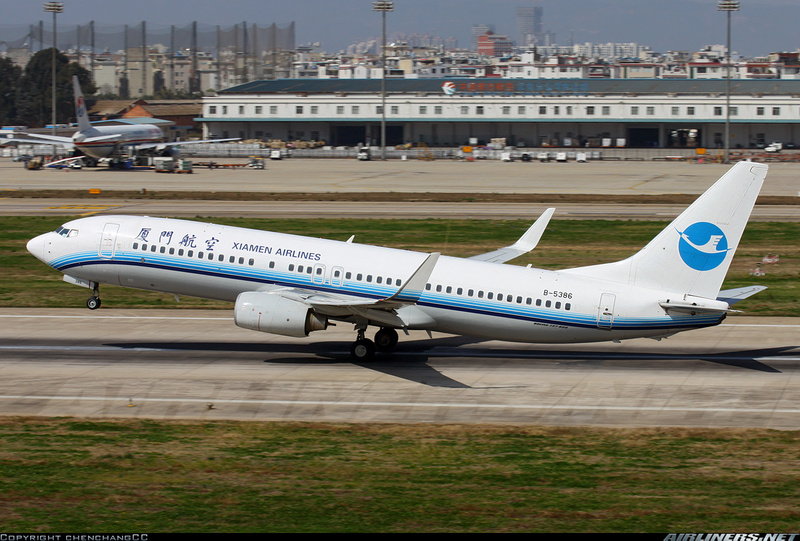 My thoughts: Another good experience with Mandarin Airlines with the crew being professional and friendly through out. Unlike my previous experience, electronic devices in flight mode is allowed to be used and that makes my experience even more enjoyable. Excellent seat comfort, good aircraft and good set of crew - what more can I ask for? A choice of drinks was also offered on this flight. 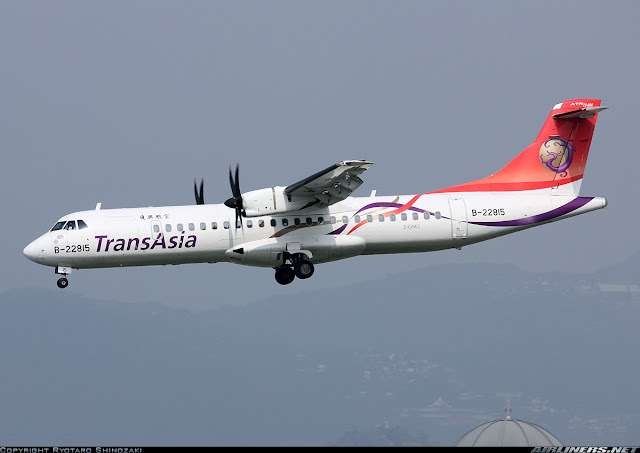 Overall rating: A An enjoyable smooth flight from Magong to Taipei Songshan with splendid view, pity that the flight was too short for my liking. 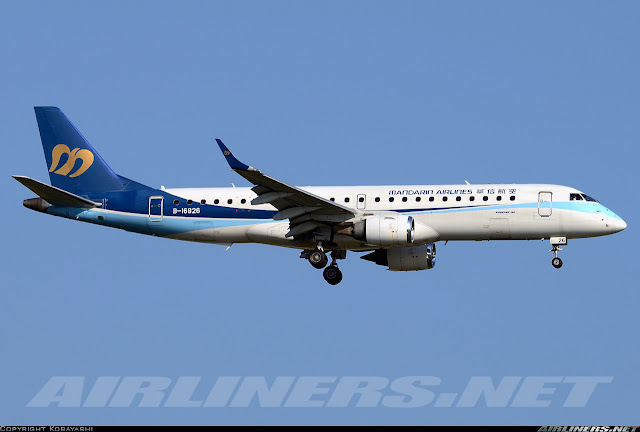 In conclusion , flying the ERJ-190 once again with this airline is an absolute delight! My thoughts: A jewel in Middle East! This airline has fantastic in-flight products especially the business class cabin. I find the colours is attractive and seats to be comfortable especially in the 2-4-2 seating configuration. Although both flights were short, I got to enjoy the service from the lovely crew. For such a short flight to KL and back (Singapore), a drink and a snack (biscuit) were served. 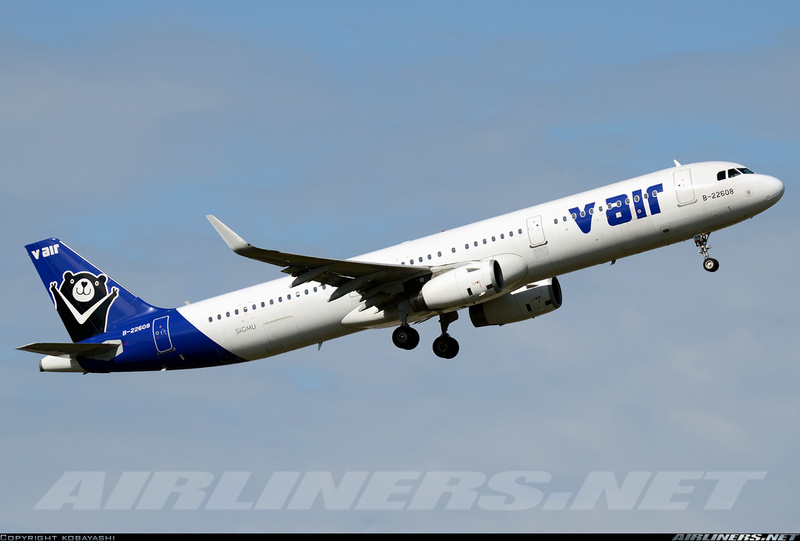 Overall rating: A I heard positive feedbacks about this airline and I can see why. I love the interior of both J and Y class and service was good but not as polished as the top airlines. What I also appreciate is the snack provided for this short hop. Highly recommended! My thoughts: Getting a windowless seat was not part of the plan but it happened. Can't blame the airline but it would have been great if the seat map list which seats are windowless and offer a cheaper fare for it. In-flight service was average, maybe a couple of crew were better than the rest. Other than that it was a normal flight. Overall rating: C+ The lack of window and tight legroom space made this flight experience a disappointing one. Unfortunately the flight was full, so I couldn't change my seat but one of the crew was nice enough to offer me a window seat for the next sector (Kaohsiung to Osaka), unfortunately I was going to Kaohsiung. That's nice of him though. My thoughts: Long queues at DMK airport and the web check in was of no use since I had to join the line. No announcement of the delay and passengers were kept waiting without an update. Fortunately the delay wasn't long. Cabin crew were friendly and it was nice to be flying on a new Boeing 737-800 with Boeing Sky Interior. Tight legroom space and I couldn't order the meal because the airline doesn't accept credit card - disappointing! Overall rating: C Disappointed with the unpleasant check-in experience, no updates on the delay and only cash payment for meal and duty free items. On the bright side, the cabin crew's service was good and the airline provided a free snack and drink just before BOB began. My thoughts: Despite the negative feedback I heard about this airline, everything went well. 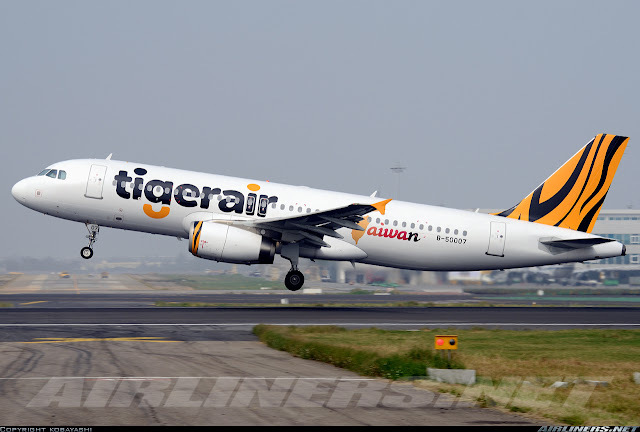 Not only was the check-in at KUL was efficient, the in-flight service was surprisingly good. I appreciate the presence of the enthusiastic crew and one even bow at the passengers after the flight! Seat pitch on the other hand was a disappointment, but that's a typical Low Cost Carrier's configuration. Overall rating: A- Points deducted for the uncomfortable seat pitch, and even my seat mate was also complaining. Fortunately the flight took around an hour plus, so it was bearable. Apart from that, everything went well. 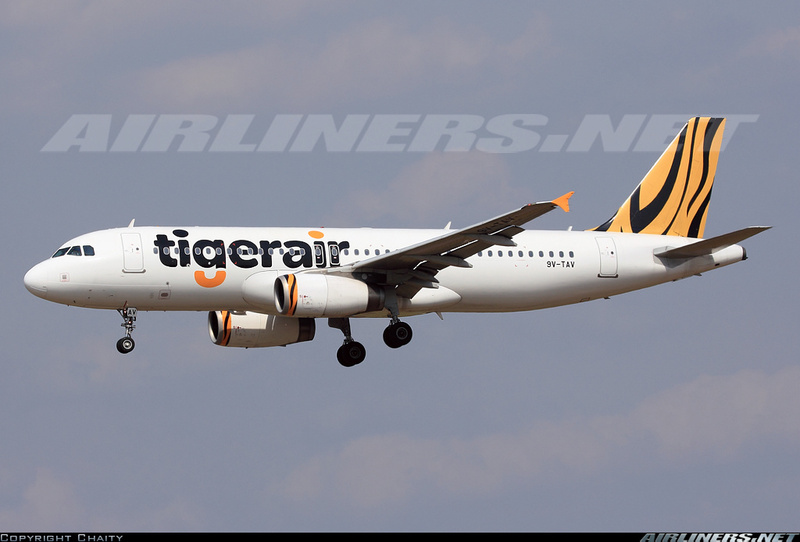 My thoughts: This aircraft is ex-Tigerair SG (9V-TAY) and the cabin seat is the same as Tigerair SG. I had to bear with the tight legroom space for the 3 hours plus flight. However service was great, and the in-flight meal was decent. The cost of the meals is cheaper than Tiger SG and the menu selection is different. Overall rating: B+ Overall, I find it to be a pleasant flight, cabin crew were nice and professional, perhaps a bit reserved. In-flight meal was not bad and the cabin was clean. The flight was smooth making it a relaxing flight for all of us. My thoughts: I was pleasantly surprised with the good in-flight service and comfort of the seats. 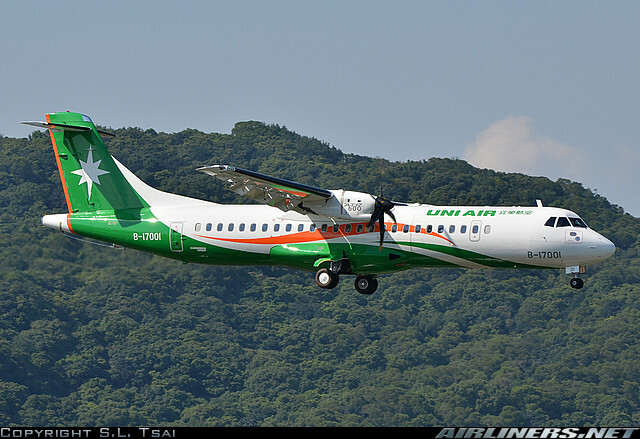 The modern ATR-72-600 cabin by the manufacturer has done a great job in making the cabin more spacious and pleasing to look at while flying. There isn't any point during the flight that I feel unsafe, that's the most important thing. Overall rating: A- On the whole, I enjoyed both flights even though my return flight was a bit nerve whacking, not the airline's fault of course. After my experience, I won't hesitate to book myself with this airline again. My thoughts: It was a pleasant ride from Songshan to Magong in very fine weather. The seat is comfortable with adequate legroom space and a good set of crew with just a drink provided for this short hop. After seeing this plane type flying in and out of Songshan Airport many times, I am finally glad to have flown on one. Overall rating: A- A pleasant flight with just a bit of bumps during take off. Cabin crew were friendly and legroom space is good enough for this short flight. In fact the flight time went past too quickly for my liking. My thoughts: Legroom space is not bad, but I remember my back got quite uncomfortable after 3 hours of flying. Unfortunately the flight was full so I couldn't have the middle seat vacant. No individual IFE system, so I used my own Ipad for entertainment. In-flight meal was average, so was the service. Not the worst flight, but certainly not the most memorable. I was relieved when the aircraft touched down at Xiamen. My thoughts: The Boeing Sky Interior is certainly a difference between this and the old cabin, makes the passengers at least for me more comfortable. I could have the whole row to myself, not because of this passenger who decided to move from his original seat. At least I had the middle seat free. 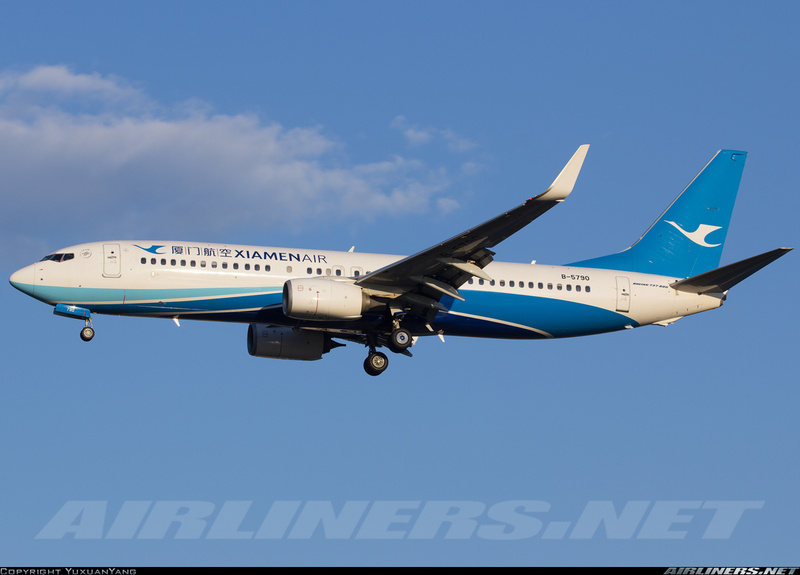 In-flight service and meal once again were average, but flying with Xiamen Air, you can be assured of safety as this airline won the best airline with the safety record in 2014. This flight is my longest flight on a narrow-body so far, 5 hours and 15 minutes of flying including being placed on holding pattern while on approach to Changi Airport. My thoughts: I was fortunate to have the whole row for myself and the middle seat vacant for both flights respectively. So the 3-3-3 seating configuration didn't affect me in anyway. Even if its full, I feel I would able to cope with it. Good legroom space with comfortable seat. The IFE system is commonly used by other airlines so it is familiar to me - find the contents inside limited though. In-flight meal was very generous and decent while the in-flight service was surprisingly good. Overall rating: B The Boeing 737 and 787 is huge in difference in terms of comfort and I would gladly choose the latter over the former any day when flying on domestic routes. For international flights especially flying in Asia, you don't get much of a choice. 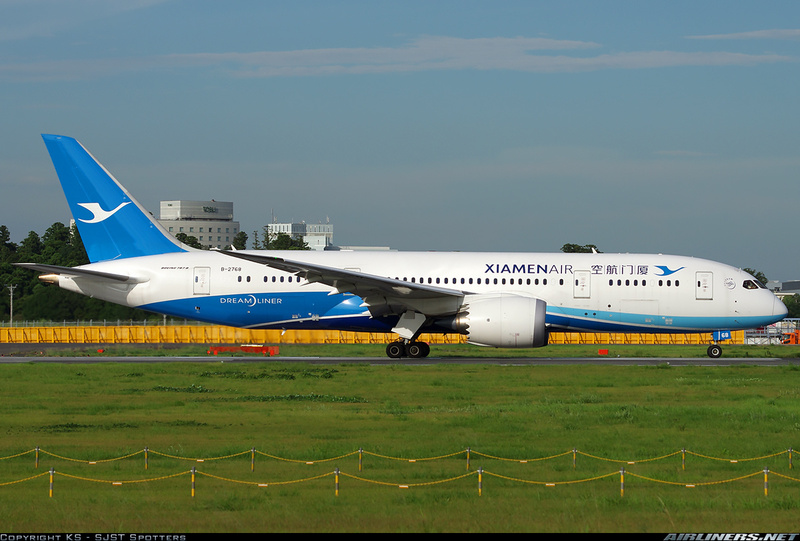 The Boeing 787 Dreamliner flies on a few domestic routes such as Fuzhou to Beijing and Xiamen to Beijing and once in a while, it flew to other cities, so if you get a chance, choose the 787 Dreamliner. Cabin service on the 787 is better and the in-flight meals on all my flights are decent, can't complain. 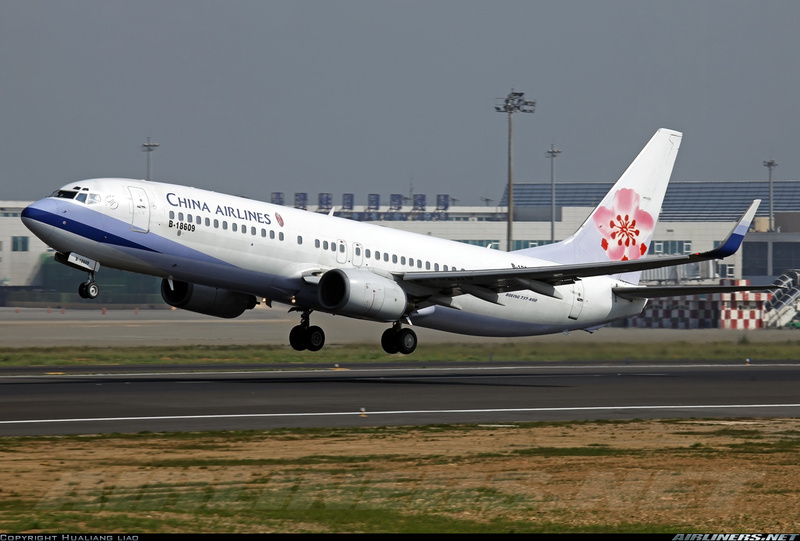 Overall, this is one of the better airlines in China and for the ticket I paid, it is worth the value. 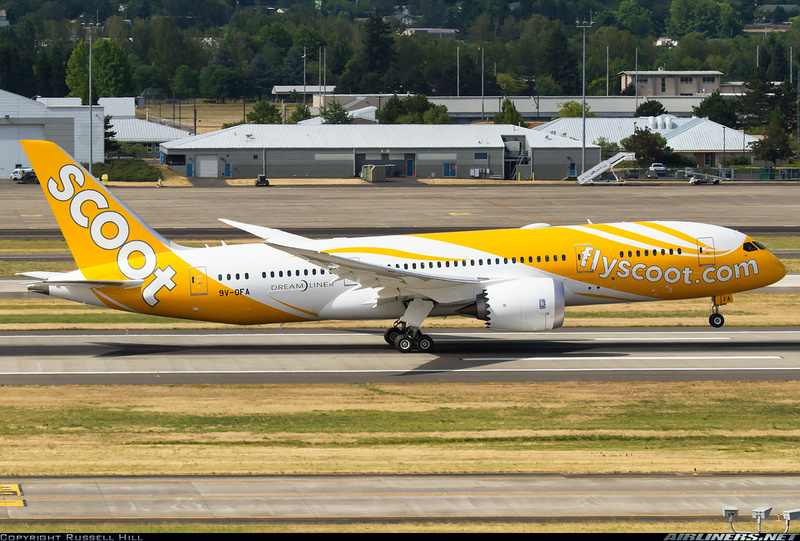 My thoughts: This airline certainly has something different from other Low Cost Carriers and that is adding fun to the atmosphere. 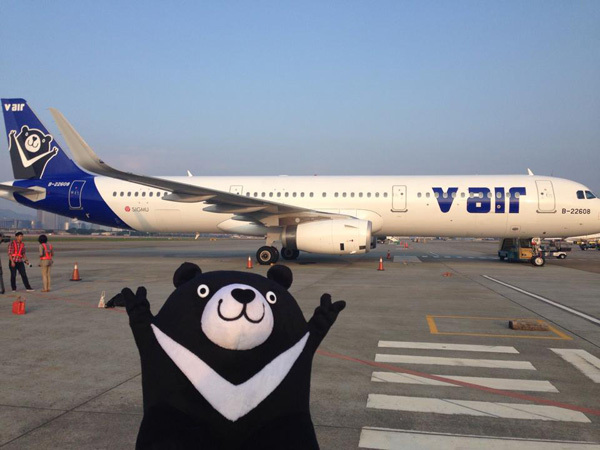 My first flight (TPE-CNX) in particular caught my attention with the cat walk and the appearance of V Bear. I was impressed with this set of crew as they were working hard with smiles on their faces and seemed to be enjoying their jobs. One particular crew looked like one of the characters in a Japanese anime show! On the return flight, it was slightly low key, but still good service provided by the crew. Unfortunately, I couldn't get the warm food I wanted as they were sold out (both flights) and what amazed me about flying on this airline's A321 is the seat pitch, which is more comfortable than most LCCs. 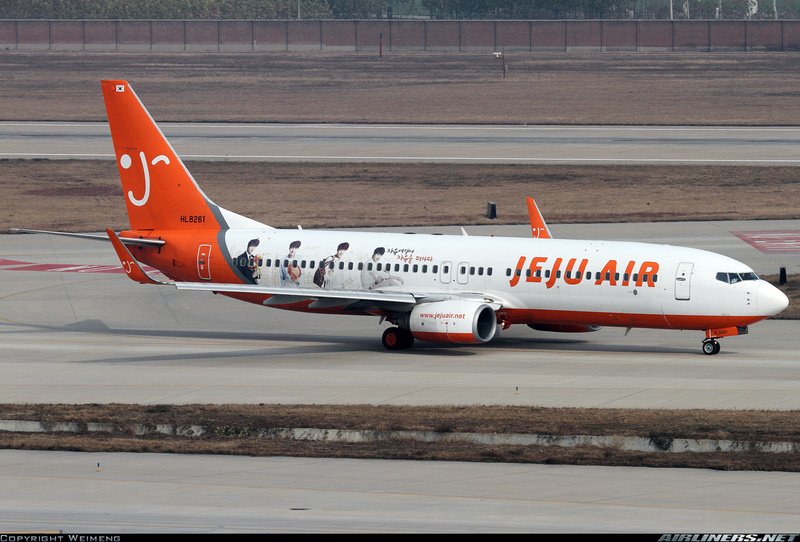 Only loses out to Air Busan's A321 which has better legroom space (34' inch). My rating: A+ Good legroom space + Fun and loving crew + Good and inexpensive in-flight meal = Winner! Charles Ryan's Award for year 2015! This is based on my flights flown for this year and will be grouped under suitable categories. *Do note that this award is based on my flying experience with the 23 airlines and has nothing to do with Skytrax or any others. My flights on Business and Premium Economy Class are limited so I may choose what I think is the best even if I haven't flown on those classes but have seen them for myself. For the experience. I particularly like the crew's uniform which matches the cabin interior, the in-flight service and the airline's livery. 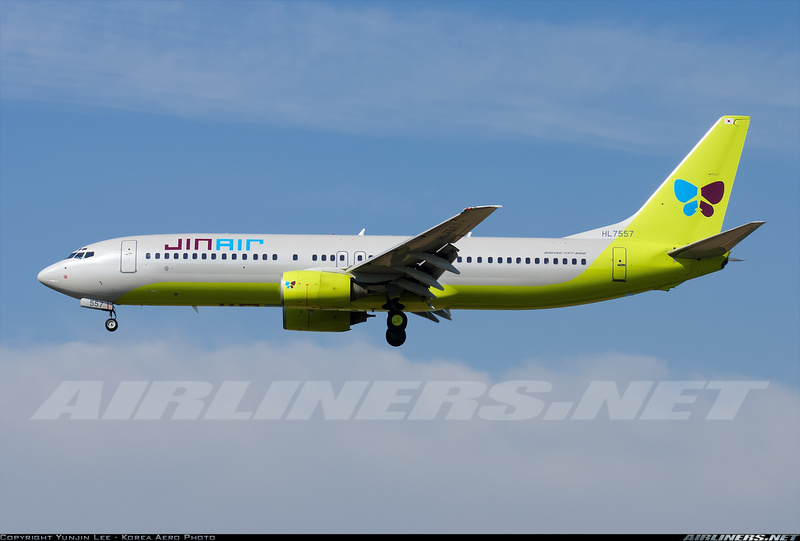 It was a tough decision as there were another 2 airlines in mind, Jeju Air and Jin Air. Why did I pick this airline in the end? Well, it has a better website and better legroom seat pitch (Airbus A321) than the other 2 airlines. I find the seat to be comfortable. User-friendly IFE system packed with many contents! 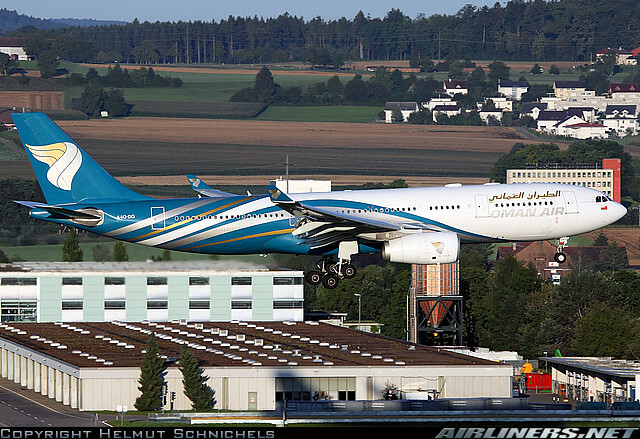 I didn't fly in this class with Oman Air, but among all the carriers I flown for this year, this is the clear winner. 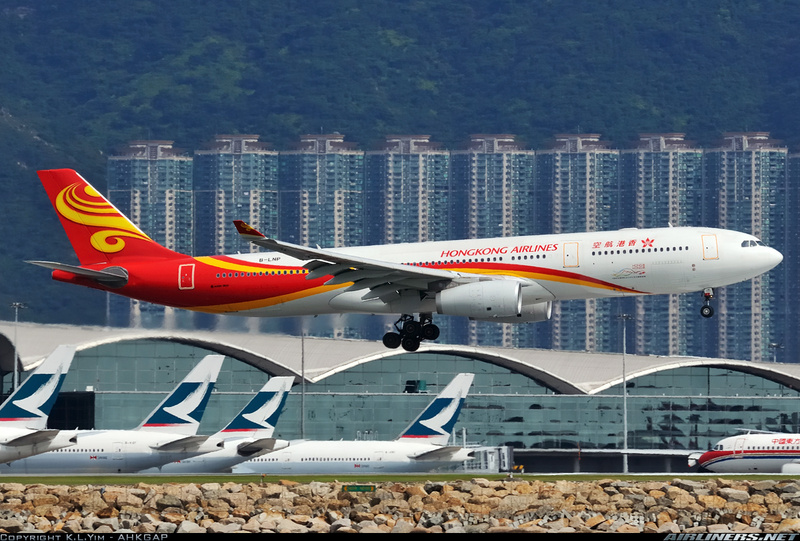 Configured in 1-2-1 on the airline's Airbus A330. Lots of space and aisle access to every passenger. I think this photo (above) tells you everything! The choice for the best in-flight meal is a tough one, as I haven't had a really good one to be honest. I picked this because this actually tasted quite good. This set of crew is one of the best I come across, as the service was top notch! Having to deal with a full load of passengers, yet they were very courteous to each passenger and spent a bit of time explaining to the passengers with smiles. Walking around to make sure we are all comfortable and was incredibly patient with some passengers who just cannot follow instructions. Finally after my 5th attempt, I got the airline's MD-83 and I got to fly on it twice! 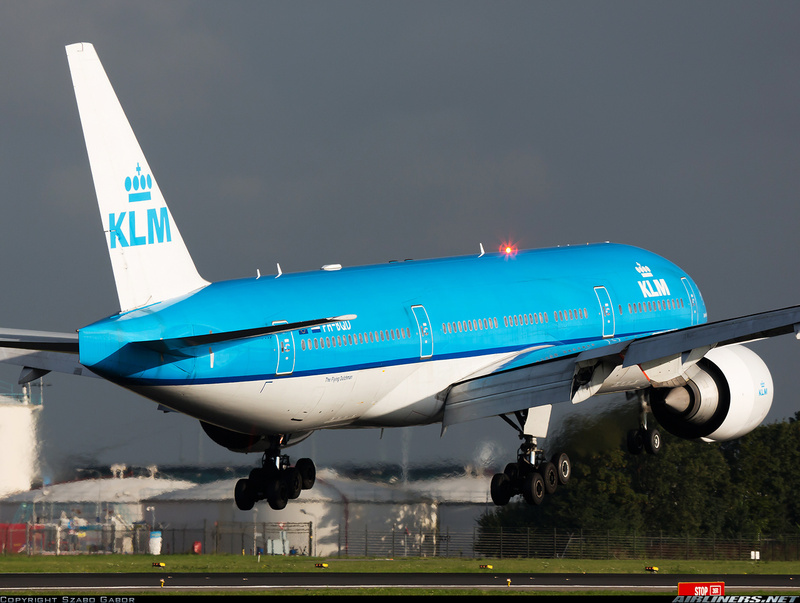 For me, I like the colour combination of the livery, looks stunning especially with the golden light shining on it. Economy Class cabin with the cabin crew in it. They could smile a little! 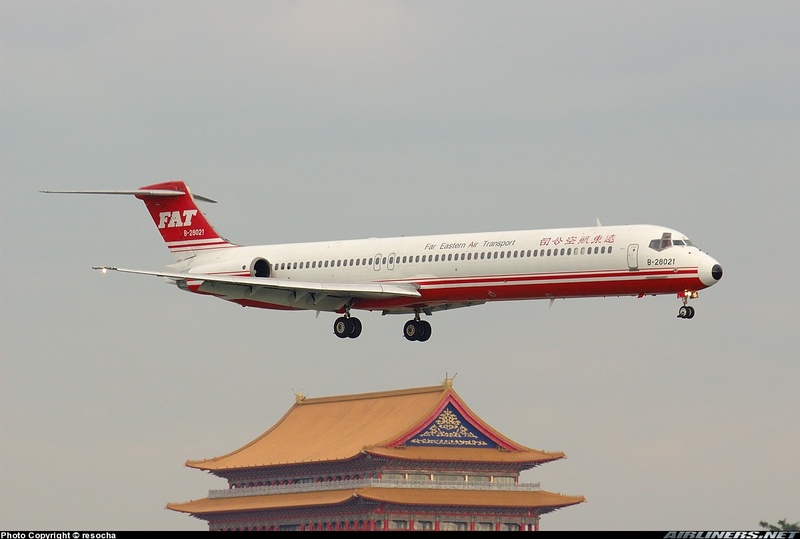 The walkway from the domestic to the international terminal has interesting aviation exhibits on display just like these plane models! Comfortable airport to hang out and also the fastest to come in and out the immigration. Basically it has everything I need and also a window for me to enjoy the view! Food selection was good and the staff was there to update us on our flights. The staff were very helpful and courteous and a couple of them went all the way to help me, in fact they became my friends not long after. Only Asian flights for 2015 but I managed to take my number of airlines flown to 81, climbing steadily to my target of 100th airline. 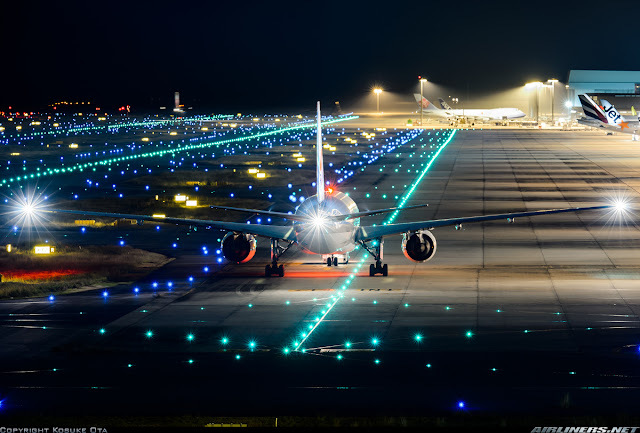 I hope in this new year, I would fly to another continent, possibly to Europe and Australia. The number of flights this year may be a few number short of breaking my record (most number of flights in a year), but I am satisfied with my choices of airlines and will be aiming to break the 90th barrier. I will kick start my Flying Adventure in January to Thailand and Vietnam to catch 2 new airlines, 2 new cities and 1 new aircraft type. Trip reports will be done! This trip will be broken up into 2 parts and will take place in the middle and the end of January. Hope you enjoy this review and do check out my upcoming 2016 trip reports!